According to a study by (PDF) Purdue University and Microsoft, free mobile applications aren't without a catch after all: you're paying for them in battery life. Abhinav Pathak and two of his colleagues designed an energy profiling tool called eprof to analyze the power consumption of five of the top ten most popular Android apps: Angry Birds, MapQuest, Free Chess, the Android browser and the New York Times app. The team found that only 10-30% of an app's power consumption is directly related to its purpose (such as chess algorithms being calculated in Free Chess), while the remaining 70-90% is consumed by other functionalities that use wireless I/O chips (Wi-Fi, 3G and GPS). 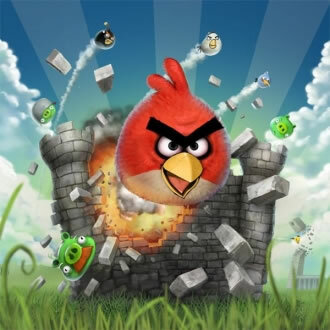 Some 70% of the energy drain in Angry Birds is from downloading and displaying ads as well as uploading data such as location information. While processing technology has matured, developers haven't focused enough on optimizing I/O energy. For example, many apps have an I/O "tail" as they leave their connections open for a breif period after sending or receiving information, wasting energy all the while. If we understand the data right, the "3G tail" in Angry Birds consumed about 52% of the app energy (24% when running, 28% in the process of closing). Free Chess had a similar breakdown, the Android browser and NY Times app spent about 15% on user tracking, while an I/O-heavy app like MapQuest proved to be particularly wasteful between 3G and GPS tails. Eprof can also flesh out bugs. The researchers discovered a flaw in Facebook's app that prevented the CPU from entering sleep after the app was closed. The paper goes on to offer potential solutions.